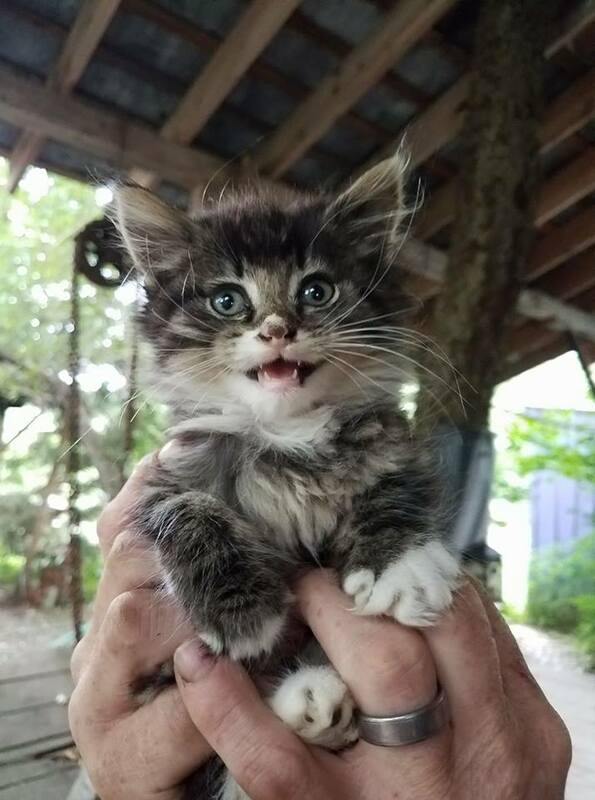 This little girl came to us weighing less than a pound, covered in fleas and smelling like an old horse barn… But her eyes and voice were strong. “The force is strong in this one”. She got her name because she is such a combination of “pull up your boot straps and make the best of it” sass, and deeply sweet loving grandma energy… Jazzy Jasmine! She loves to be held close to your heart and enjoys when you whisper and coo to her. Her back leg is completely white, and her nose looks like an upside down heart. She has no fear of the large dog in her foster home, and will be introduced to other cats when she is a little older. She is about a month old so she won’t be ready to go to her furs-ever till the beginning of September. She is well worth the wait! !